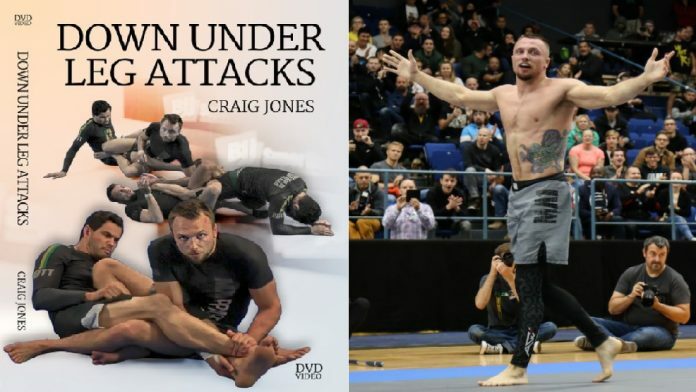 Hi folks, I’m David Bista, BJJ Brown Belt, and as I mentioned in some comment that I have Craig Jones DVD I was asked by BJJ World to write an honest review on Craig Jones DVD called Down Under Leg Attacks. So, here it is! Well, after I was watching Craig Jones on ADCC when he submitted Leandro Lo, I was looking around for him and I found out that this guy really has something special. I’m not really that much into buying DVDs from the internet, but I was so impressed with Craig Jones that I had to purchase his DVDs and it was the great thing for my BJJ. So, after a few days of waiting I got my DVD’s from BJJ Fanatics and after the first watching, I was impressed. Really impressed and I’ll explain why so, let’s start. The Down Under Leg Attacks package contains 4 DVDs and what I like the most is the fact that Craig Jones is using the most simple “language” to explain to you techniques that will really make a difference. When I say different I really mean the difference in your gameplay as he goes through some stuff I was never thinking about and I’m “catching legs” for like 4 years now. Great Heel Hook setup from Craig Jones. What I like the most is that from the start of the videos Craig Jones is starting with the simplest techniques and he’s building leg locking game from there. So if you decide to drill those techniques you won’t have any holes in what you’re doing. He will explain to you a technique and after that, he’ll go with problems you can encounter while doing it. After that, he’s going to counters and recounters and recounters… You will simply be taught what do when your opponent does something, how to respond to their defense or their attacks and how to maintain your position of choice. 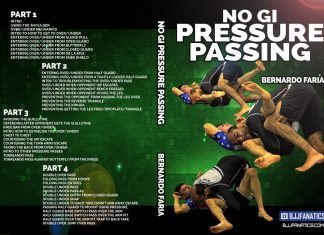 You will also learn how to escape from leg locking attacks and how to prevent your opponents to get you in a position where they can leg lock you. I won’t even mention all the counters that you will learn as they are fantastic. You’ll learn both offensive and defensive techniques so you know what to watch for in every situation that you can face while going for leg locks or defending them. Entries to the leg locking positions are also one awesome part of this Package. That was my main reason to buy these DVD’s as I’ve read somewhere they’re very good. But I found out everything else is good and on the level that everyone can understand. I can say that everything is very well structured and that’s exactly what I’m looking for when I watch techniques videos. I believe it’s a huge thing that differs these DVDs from YouTube techniques because you can find many techniques on YouTube, but you can’t find something like this where you will get a chance where you’re able to learn something from start to finish. With this kind of explaining techniques, it doesn’t matter if you’re training for 6 months or 6 years because there are no parts that you will miss. There are no things that Craig Jones thinks you know so he doesn’t have to explain them to you. You will be taught every technique that Craig Jones decided to talk about and show from A to Z. 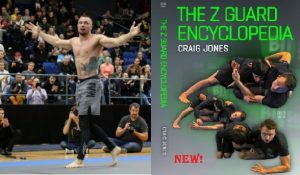 So, should you buy Craig Jones DVD Down Under Leg Attacks? If you’re interested in leg locks, then it’s a one huge YES and you don’t have to think a second about it. Even if you’re not THAT interested in leg locking these DVDs may help you to understand everything about leg locking on the easiest possible way and, what’s more important, you will learn how to counter anyone going for your legs. Craig Jones really tries to explain the counters and recounters. You’ll admit that there’s nothing better than countering your “boring” leg locking friend. Next articleBlack Belt Heel Hooks a Guy on IBJJF no-gi Worlds RULES?? ?